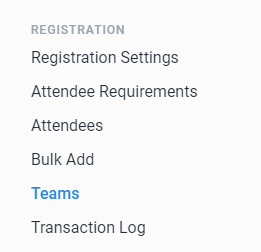 If your event is 2v2 with team names turned off, it may be easier to use the Attendees List tab in the admin. You can pair teammates directly from the attendee modal. It allows you to search for their partner as soon as you add them to the teams event. However, the search will only pull attendees that are also registered for that event. So make sure both players are registered before you attempt to pair them! Head over to the Team List in your tournament’s Admin to start. The list of existing teams will appear here. 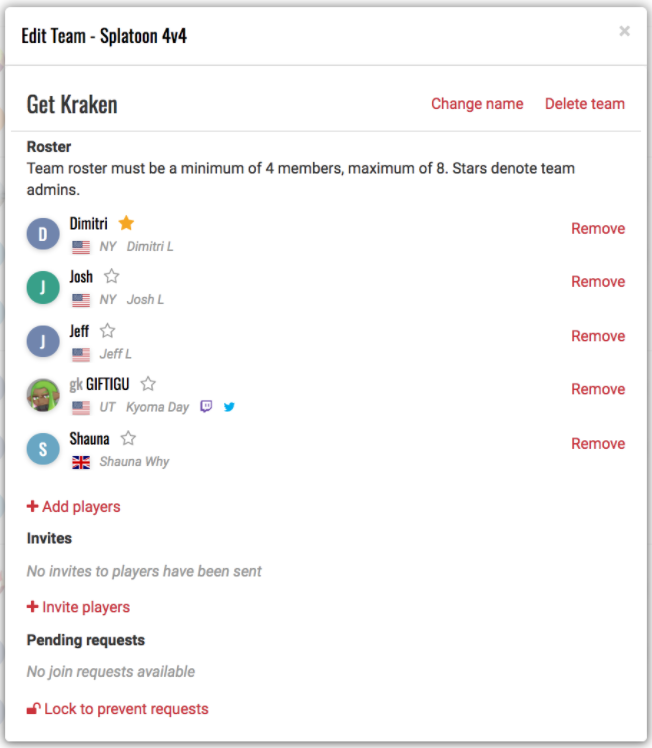 Assign additional or new team captains by clicking the star next to each player’s name. Those with gold stars are considered team captains and can edit information about the team.